As reported in the Fairbanks Daily News-Miner, there are still lessons to be learned from the Exxon Valdez oil spill that occurred on March 24th, 1989. A recent report issued by the United States Government Accountability Office (U.S. GAO) found that some organizations involved in environmental cleanup, restoration and research weren’t talking to each other during the Exxon Valdez Oil Spill or the Deepwater Horizon oil spill that occurred in 2010. In fact, some agencies weren’t even aware that the other existed. 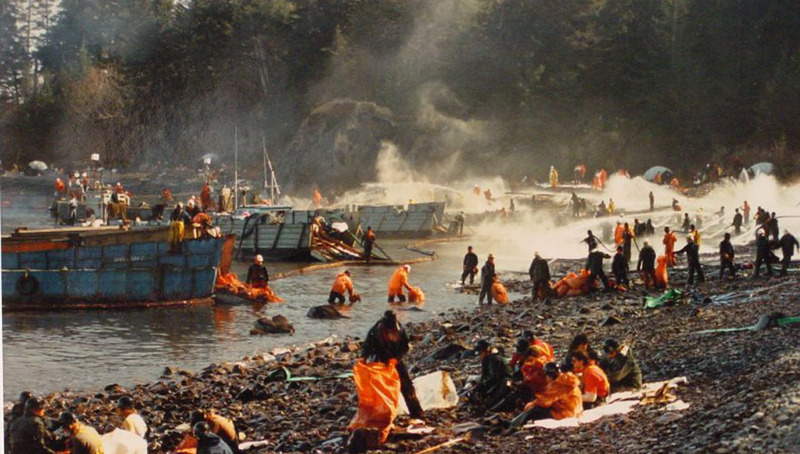 The U.S. Congress, reacting to the Exxon Valdez spill, created the Interagency Coordinating Committee on Oil Pollution Research as part of the Oil Pollution Act of 1990. The committee’s purpose is to “coordinate oil pollution research among federal agencies and with relevant external entities,” according to the GAO. The committee, which has representatives from 15 agencies, is expected to coordinate with federal-state trustee councils created to manage restoration funds obtained through legal settlements. Although three decades have passed since oil soiled the surface of Prince William Sound and rolled onto its shores, evidence of the spill remains. GAO staff visited the spill site in May of last year “and observed the excavation of three pits that revealed lingering oil roughly 6 inches below the surface of the beach …” Restoration is largely complete in Prince William Sound, but some work continues and research will continue for decades, the GAO report notes. As reported in History.com, The Exxon Valdez oil spill was a man-made disaster that occurred when Exxon Valdez, an oil tanker owned by the Exxon Shipping Company, spilled 41 million litres of crude oil into Alaska’s Prince William Sound on March 24, 1989. It was the worst oil spill in U.S. history until the Deepwater Horizon oil spill in 2010. The Exxon Valdez oil slick covered 2,000 kilometres of coastline and killed hundreds of thousands of seabirds, otters, seals and whales. Exxon payed about $2 billion in cleanup costs and $1.8 billion for habitat restoration and personal damages related to the spill. Cleanup workers skimmed oil from the water’s surface, sprayed oil dispersant chemicals in the water and on shore, washed oiled beaches with hot water and rescued and cleaned animals trapped in oil. Environmental officials purposefully left some areas of shoreline untreated so they could study the effect of cleanup measures, some of which were unproven at the time. They later found that aggressive washing with high-pressure, hot water hoses was effective in removing oil, but did even more ecological damage by killing the remaining plants and animals in the process. Nearly 30 years later, pockets of crude oil remain in some locations. A 2001 study found oil contamination remaining at more than half of the 91 beach sites tested in Prince William Sound. The spill had killed an estimated 40 percent of all sea otters living in the Sound. The sea otter population didn’t recover to its pre-spill levels until 2014, twenty-five years after the spill. Stocks of herring, once a lucrative source of income for Prince William Sound fisherman, have never fully rebounded. In the wake of the Exxon Valdez oil spill, the U.S. Congress passed the Oil Pollution Act of 1990. The Oil Pollution Act of 1990 increased penalties for companies responsible for oil spills and required that all oil tankers in United States waters have a double hull. The Oil Pollution Act of 1990 (OPA), which was enacted after the Exxon Valdez spill in 1989, established the Interagency Coordinating Committee on Oil Pollution Research (interagency committee) to coordinate oil pollution research among federal agencies and with relevant external entities, among other things. The U.S. GAO recommends, among other things, that the interagency committee coordinate with the trustee councils to support their work and research needs. So it seams no lessons really learned, no lessons applied to improve anything, not really. No real damage to the oil and gas industry, just to people and the world around them — not anyone or anything that really matter. And now we have to immediately and decisively cancel all new oil and gas related projects to have a future. But that can’t be done either. We just have to wait until oil & gas implodes. And by then it will be too late. But still, some find themselves incapable of just moaning & groaning about our dystopian fate. For example, SAVE RGV from LNG has been fighting Rio Grande LNG, Annova LNG, & Texas LNG since May 2014. All three are scheduled for FERC approval on or before 07-25-2019. They may get FERC approval but may still all three go belly up before they put shovel to ground. Because we’ve delayed them enough. And because we’re just part of the increased uprising across the US and around the world against the damage done by the fossil fuel vampires. Check out SAVE RGV from LNG’s website at http://www.savergvfromlng.com/ and Facebook page at https://www.facebook.com/saveRGVfromLNG/.